The Razer Hammerhead for iOS delivers pure audio fidelity thanks to extra-large 10 mm dynamic drivers and a custom-tuned digital-to-analog (DAC) converter. It gives you deeper bass tones and superior acoustic clarity, whether for music, games, or everything in between. Stay fully immersed in the sound with noise-isolating bi-flange ear-tips and be in total control with the in-line remote. 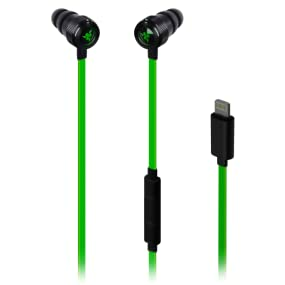 With an aluminum body and flat cables, these in-ears are truly made for toughness on the go. 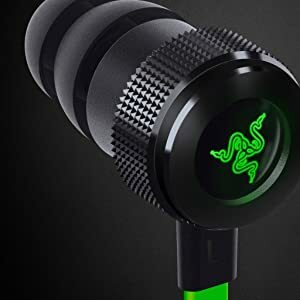 Razer’s work on award-winning headsets has led to developing a custom-tuned DAC converter that leverages the digital output of the Apple Lightning connector. The result is audio straight from the source without any processing found in standard 3.5 mm headphones, to produce the purest and most accurate sound wherever you go. 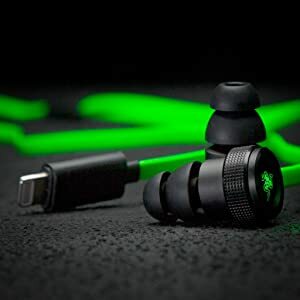 The Razer Hammerhead for iOS is outfitted with 10 mm drivers and optimized inner acoustic chambers to reproduce all your music, game audio and more with superior acoustic clarity and deep distortion-free bass tones. Tune to a low bass or clear, crisp sound easily with the Hammerhead iOS App. You can select pre-defined EQs or customize one from scratch to suit your liking. 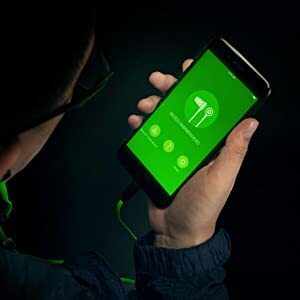 The app also allows you to control the earbuds lighting, whether you want it on, off, or breathe. Firmware and future app updates are also delivered through this one-stop companion app. 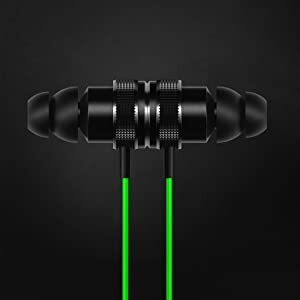 Enclosed in lightweight, robust aluminum and connected with a flat-style cable for tangle-free experience, the earphones are truly made for toughness on the go. 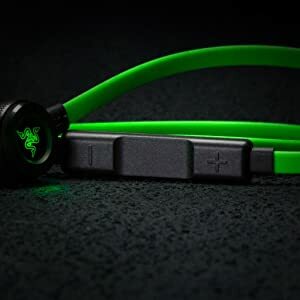 The Razer Hammerhead for iOS also introduces magnetic earbuds so you can attach them together and hang around your neck when not in use. 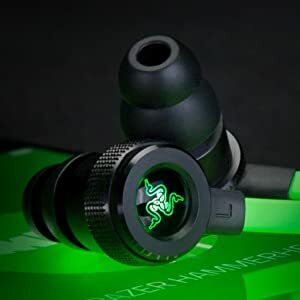 The Razer Hammerhead for iOS offers effective passive sound isolation, through specially designed bi-flange ear tips that produce a natural seal. On top of that, you can switch between three included interchangeable ear tip sizes easily for the best and most comfortable fit, always. The in-line remote puts all the control at your fingertips, whether it's for music and video playback, calls, gaming, and more. And when you speak with someone, the built-in mic assures absolute sound clarity.